Based in metro-Atlanta’s Marietta, Georgia, John R. Bevis is a trial lawyer committed to the protection of consumer rights in cases involving exploitation by powerful corporate interests and careless conduct. He is licensed to practice law in Georgia and Florida and has successfully provided the mechanism for his clients to recover more than $350 million for the injuries and wrongs done. He is rated by Martindale Hubble as an AV Preeminent™ lawyer in Litigation, Class Actions and Personal Injury cases and has been named as a Top 100 Trial Lawyer by the National Trial Lawyers, which contributes to the Barnes Law Group’s selection as a U.S. News “Best Law Firm” ranking for Mass Torts and Class Action Litigation. In his consumer litigation practice, Mr. Bevis handles a variety of complex litigation and class action lawsuits to address industry conduct resulting in wide-scale harm to individuals and consumers. 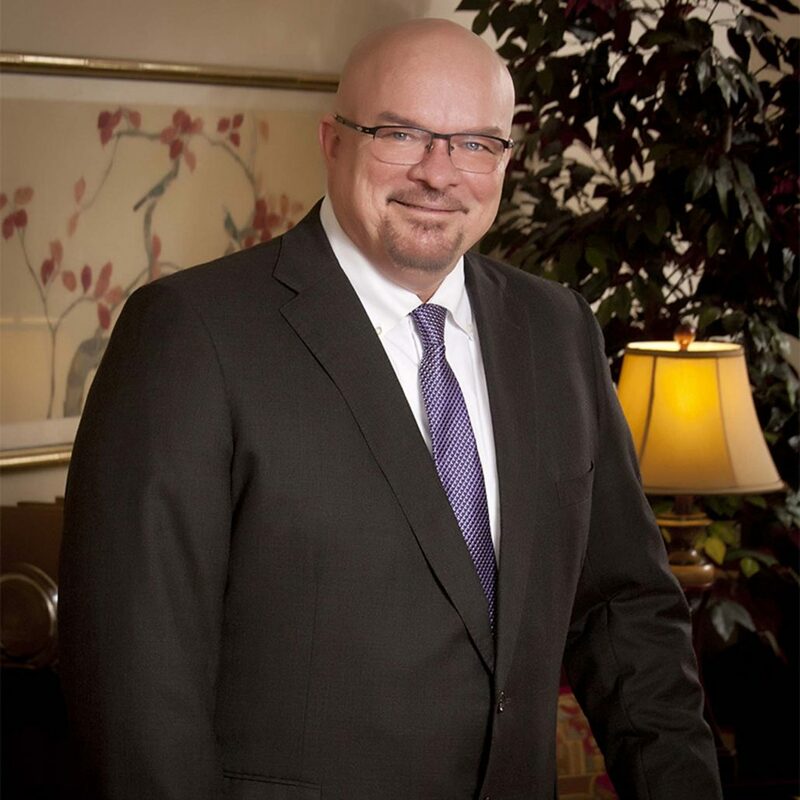 As a trial lawyer, Mr. Bevis dedicates his talents to the victims of wrongful death, personal injury, products liability, brain and spinal injuries, medical malpractice and nursing home negligence. Mr. Bevis received his J.D. from Florida State University College of Law, where he was a member of the Appellate Moot Court Team, research editor for the Journal of Land Use & Environmental law, and an intern at the Florida Supreme Court. Mr. Bevis completed his undergraduate work as a pre-med microbiology major at the University of Central Florida in Orlando. Mr. Bevis was appointed by Governor Roy Barnes as the first Deputy Consumers’ Insurance Advocate for the State of Georgia and served as the Chairman of the Board for Georgia Watch (2015-2017), a state-wide non-profit consumer organization that promotes, empowers and protects Georgia consumers in all matters impacting their finances. Bevis is a member of numerous trial advocacy groups and has served as a Barrister for Joseph Henry Lumpkin Inn of Court. He has made special appearances in cases pending in California, Louisiana, Tennessee, Texas and Wisconsin. Home Data Breach Litigation: In a multidistrict litigation case involving the exposure of personal financial information of more than 40 million customers, Mr. Bevis serves as Liaison Counsel with lead responsibilities for pursuing the consumer case claims in the litigation. Mr. Bevis and his team secured preliminary approval of a $20 million nationwide class action settlement that will compensate class members for out of pocket losses due to fraud, provide free credit monitoring for customers and reform Home Depot’s data security measures. The case is on-going pending final approval of the settlement. Payday Lending Litigation: Mr. Bevis and his team successfully pursued several class action lawsuits against payday lenders who charged more interest than the law allows. His efforts in this litigation resulted in payday lenders being required to refund up to $44 million in unlawful interest and finance charges on small loans of $500 or less. Health Insurance Renewal Premium Increase Litigation: A policyholder purchased small group health insurance before he was diagnosed with a brain tumor. The company unlawfully increased the premiums because of the diagnosis. Mr. Bevis and his team successfully litigated the case as a class action lawsuit that provided 5,000 Georgia policyholders with refunds of up to $14 million. Credit Life Insurance Litigation: Homeowner obtained a home refinance loan where the lender included more credit life insurance than was necessary to pay off his mortgage. Mr. Bevis and his team litigated a class action lawsuit that challenged these predatory lending tactics to rob homeowners of the equity in their home. The settlement of the case required the lender to refund homeowners up to $13.5 million for illegal insurance premiums and other charges. Medical Device/Bad Drug Litigation: Mr. Bevis and his team have successfully pursued and recovered multidistrict litigation claims for a number of faulty medical devices and recalled drugs, including the Medtronic pacemaker, DuPuy hip implant and Vioxx drug MDLS. Medical Malpractice – Birth Injury: In an Atlanta birth injury case, medical providers failed to determine that a baby was in breach presentation while the mother was in labor, resulting in the child’s severe oxygen deprivation, brain damage and development of cerebral palsy. Mr. Bevis and his team took over the litigation from existing lawyers and secured a recovery that will provide lifelong financial security for the family to meet the special needs and medical expenses associated with the brain injury. Product Liability — Trailer Sway/Vehicle Rollover: In a highway rollover and trailer sway case, a Texas physician and his family were towing a 30-foot travel trailer with a Ford SUV near Birmingham, Alabama. A passing semi caused the travel trailer to begin swaying, causing a violent rollover crash that killed the physician and a passenger. Mr. Bevis and his team successfully represented the surviving spouse and children in a products liability claim against the manufacturers of the SUV, the travel trailer and the ineffective anti-sway device. Roof Crush/Vehicle Rollover Litigation: In a roof crush and stability case, a Wisconsin woman was driving a Nissan SUV when it slipped on black ice and rolled down an embankment, pinning her inside the vehicle and rendering her a quadriplegic. Mr. Bevis and his team successfully sued the manufacturer contending the roof was not strong enough to withstand a foreseeable rollover crash, securing a recovery that will provide lifelong financial security, and the payment of medical expenses associated with the spinal injury and paralysis. Medical Malpractice – Bowel Perforation: In a bowel perforation case, a resident of North Carolina underwent a routine colonoscopy in Georgia. Mr. Bevis and his team successfully represented the widow in a suit alleging that the surgeon ignored the signs and symptoms of a bowel perforation that caused the patient’s death. Nursing Home Negligence-Bed Sores: A resident of South Georgia died as a result of an infected bed sore she acquired while in a nursing home. Mr. Bevis and his team successfully established that the medical standard of care required more aggressive wound care treatment and management that would have prevented the resident’s death.